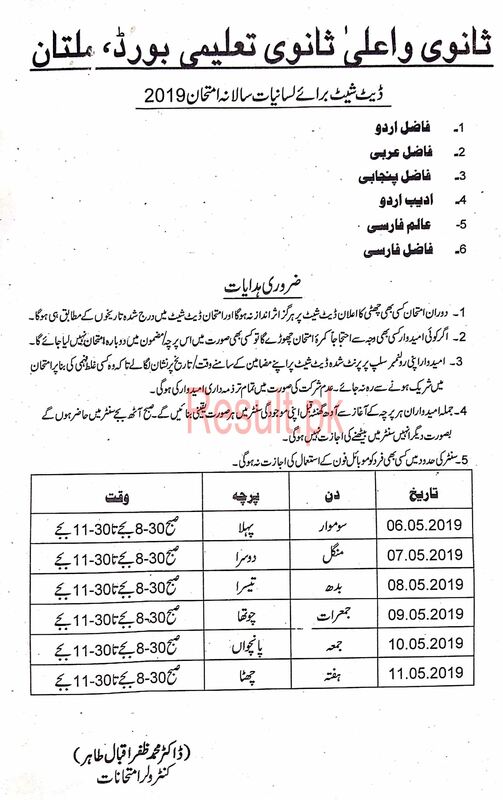 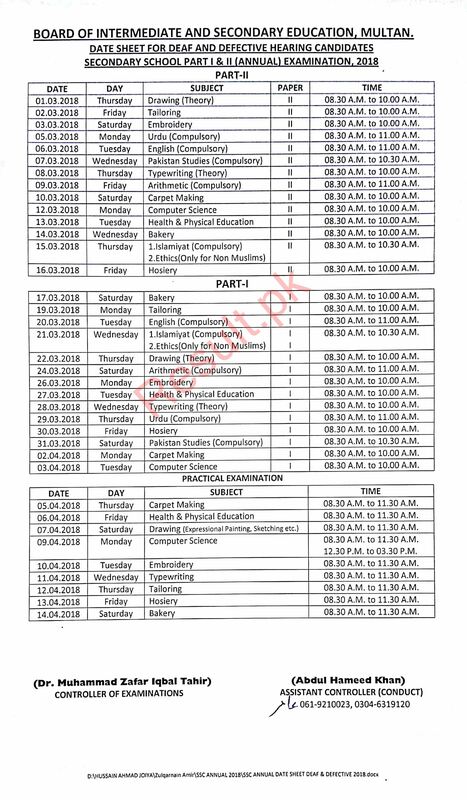 Board of Intermediate & Secondary Education Multan conducts annual and supply exams of 9th and 10th class every year in the schools affiliated with BISE Multan. 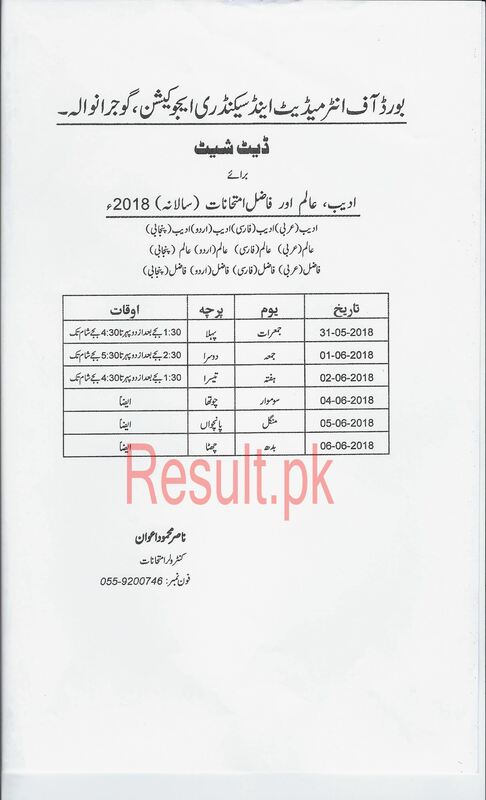 Thousands of regular and private students appear in the annual and supply exams every year while the matric class annual exams are held during the months of March and April. 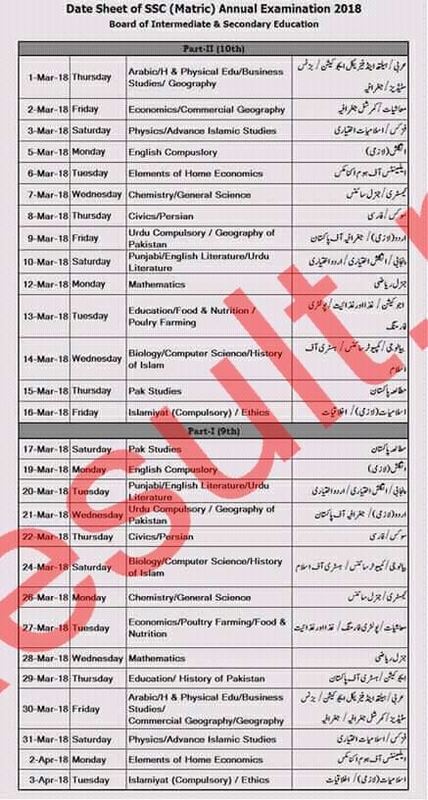 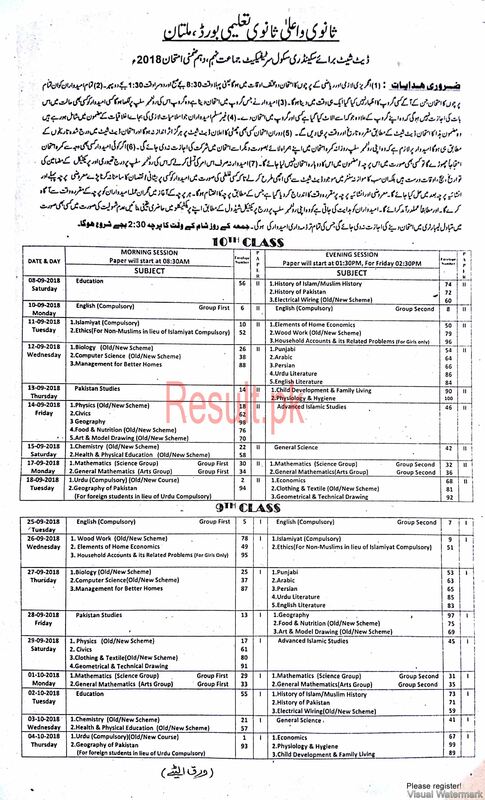 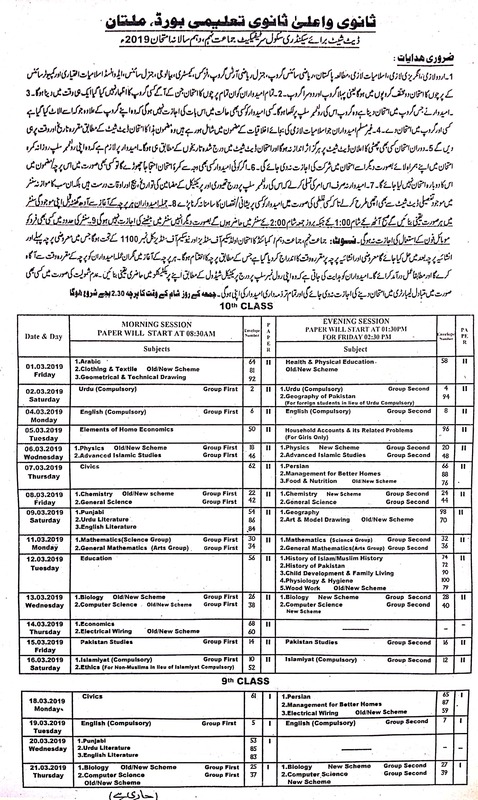 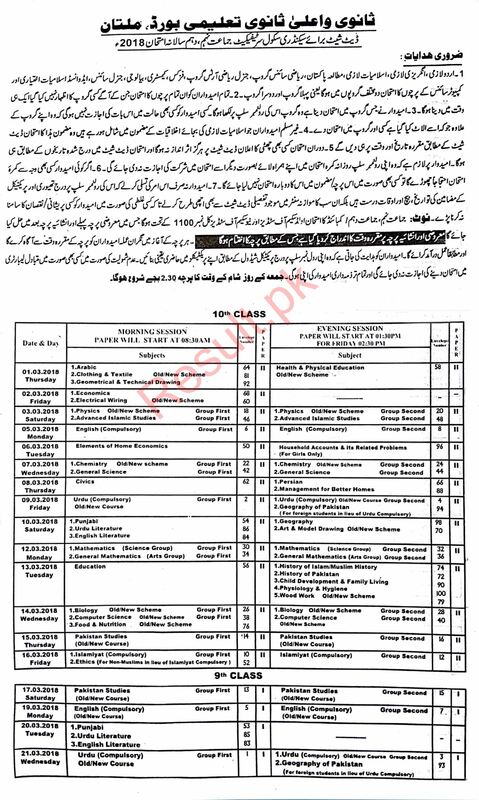 Multan Board organizes the SSC part 1 & 2 written papers in the month of March while matric class practical papers for students of science group are held during the month of April. 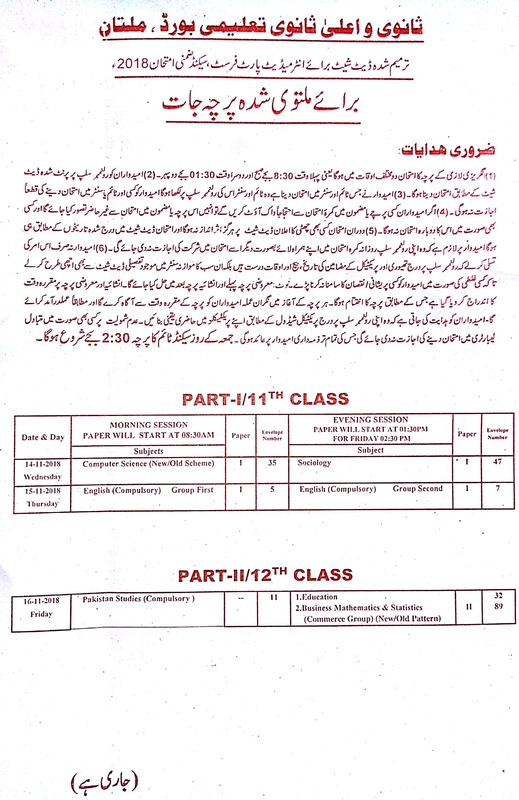 Date sheets of written and practical papers are issued separately while the date sheets are announced two or three months before the start of the exams. 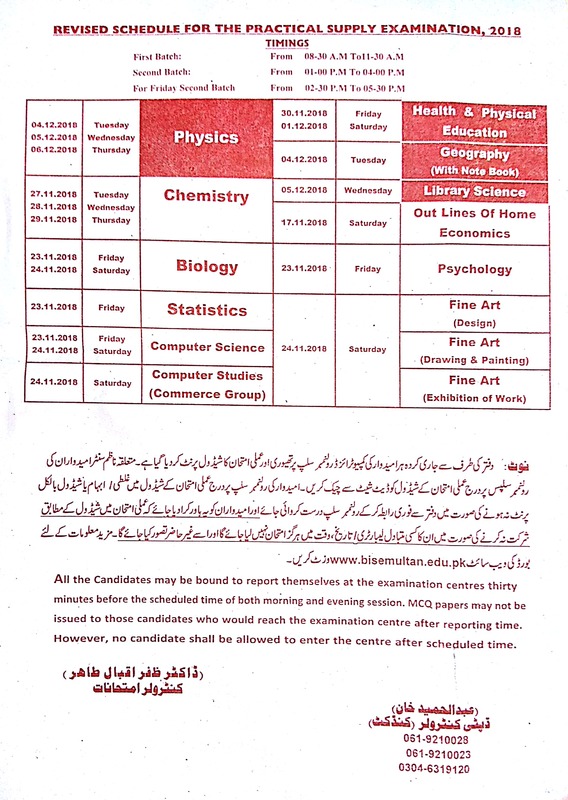 The students view their required date sheet at the official site of BISE Multan where the 9th class date sheet and 10th class date sheet is uploaded at the appropriate time. 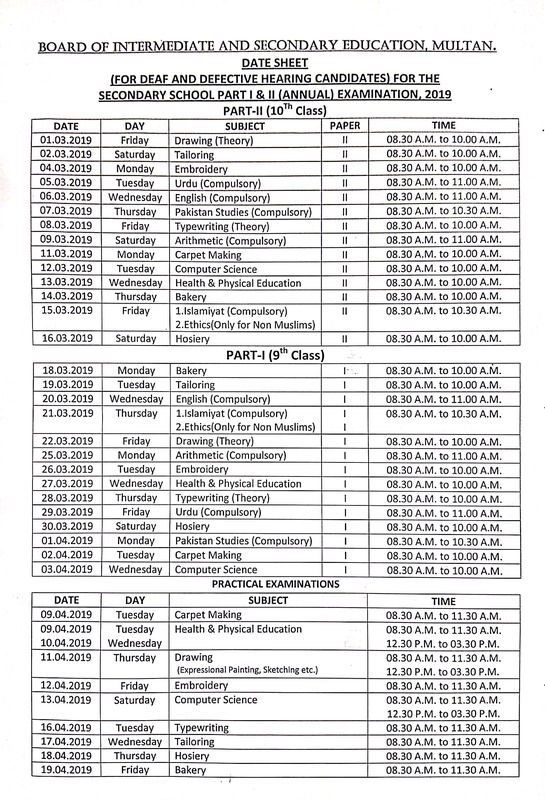 After the announcement of the date sheet, the students start their preparation of exams as they get information about the schedule of exams. 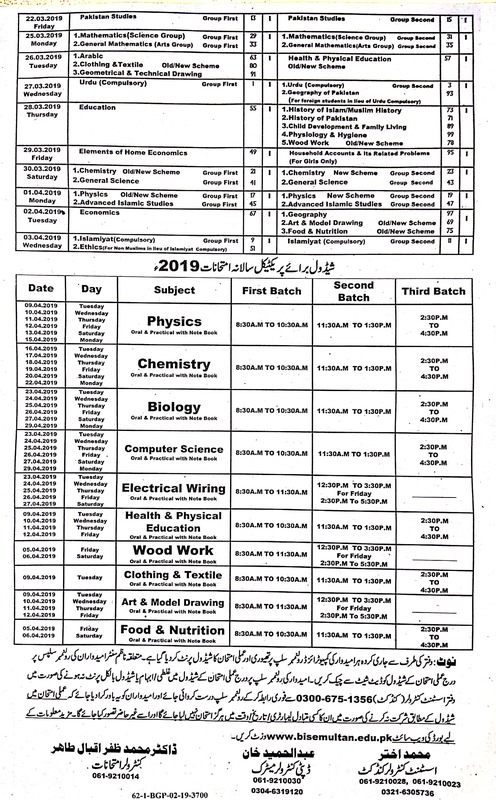 Date sheets are very important as they know that which papers are coming in the start and which papers are in the end while he also gets information about the number of holidays before any paper. 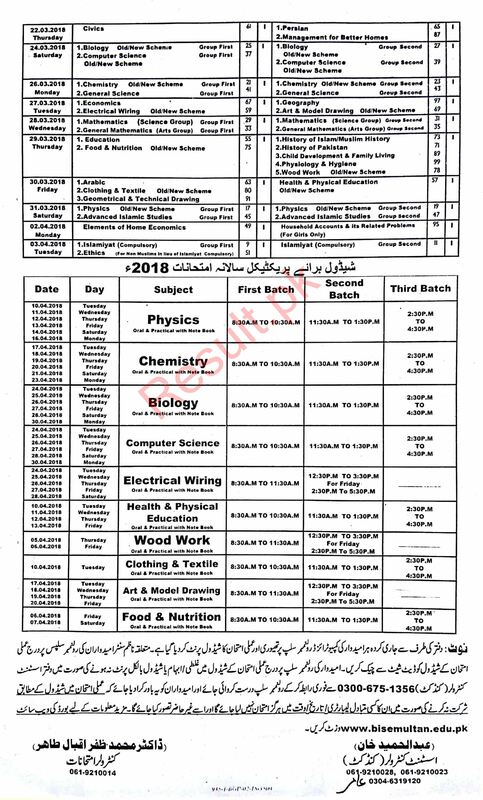 All these things are very important for better preparations of the exams.